Julia DesCarpentrie is passionate about orphan care, adoption and fostering. 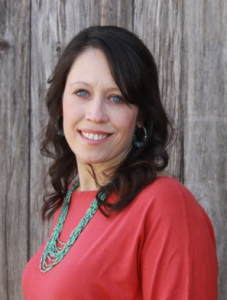 She has been blessed to live out God’s call on her life in those areas through her work with The CALL (Children of Arkansas Loved for a Lifetime), a foster care church initiative encouraging more Christian families to foster children in need. Julia has been an advocate for the fatherless for 10 years, as both a volunteer and also serving with Hope for Orphans before her work with The CALL. She is also an active volunteer in the community and has served on several community boards. She continues to minister to other mothers and foster/adoptive families through writing and speaking with MomLife Today. Julia is the mom of five children entrusted to her care through birth, adoption and fostering. She and Branden have been married for 16 years. Q: My husband was diagnosed with depression years ago. At one point, we had him hospitalized, but the entire thing was a mistake. We wanted him to attend more of a group therapy type “stay away” deal his family had agreed to pay for. His doctor put him in a state hospital, where they basically told him he was depressed and did absolutely nothing. Much of his depression stems from his own crappy childhood. A foster care recruiter I emailed awhile ago said that his experiences might actually HELP us when looking to foster or adopt, but I’m worried they will see “state hospital” and assume the worst, even though his official diagnosis was only “depressed.” Will this keep us from adopting? This all happened over 8 years ago. Many families have experienced serious illness, such as depression or cancer, and have been able to foster or adopt. You will have a home study during which someone will interview you about your past experiences, including medical issues. Be honest and open. I would also recommend being proactive and asking for a letter from your doctor stating your current health, medications, treatment plan. Do not try to hide or omit past medical diagnosis. Past trials, whether medical or life experiences, can strengthen us and help us empathize with children who have experienced trauma. Q: I have gotten curious and browsed the “waiting children” sites. I’ve noticed that many of them require that they are the only child or youngest. Does this mean we should wait until we are done having our biological children before looking to adopt? We’ve always planned on a large family, so I wonder if this is something they will frown upon. We have four right now, but I’m not ready to say we are “done” with pregnancy. Should we keep foster adopting on the back burner until we’re a little older and are done with pregnancies? Or are some children just fine being thrown into a large family with so many personalities swirling around? The waiting children posted on different websites are just a portion of the children available for adoption, and usually those who have been waiting quite a while. When children have struggled with appropriate interaction with other children the same age or younger, their profiles will have notations such as ‘this child would thrive as a youngest child or an only child.’ It would be inadvisable to bring children with documented social issues such as this into your family, both for their well-being and for the protection of your family. However, there are many other children (especially sibling groups and children over the age of 7) that are available for adoption that are not listed on the websites. And with your desire for a large family, you may be the perfect candidate for a sibling group! Keep in mind that many states have guidelines regarding the number of young children in a home (for example: In some states, a home may not have more than 3 children under the age of 6 years, including children already living in your home and children you are fostering or adopting.) There are also guidelines regarding the square footage of bedrooms and living space per child. Call your local Department of Children & Family Services for more information for your state. 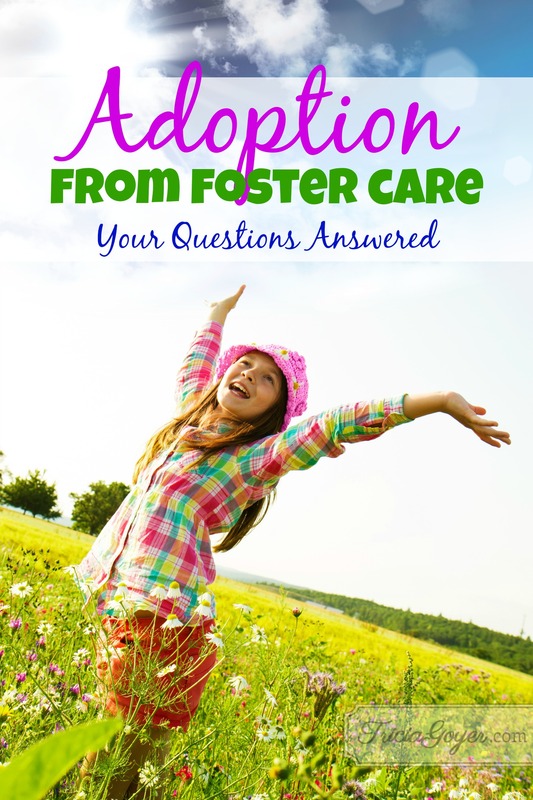 Do you have an question or comment about adopting from foster care? Leave it in the comments! My husband and I have four boys and are wanting to adopt a girl. I’ve wanted to adopt since I was in high school. We have our home study and going through an agency in Oregon through the foster care program. It has been very discouraging. We submit for kids on all the adoption websites-adoptuskids, northwest adoption exchange, etc. but we are being told it’s very competitive and could take years. I’m confused when I read that there are so many children waiting to be adopted and we are having such a difficult time. We don’t hear back from any of the caseworkers after we’ve submitted for children either. Do you have any advice on how to find out about kids who are available for adoption that are not on these sites? Amanda look here: https://www.facebook.com/TheProjectZero and send a private message to this group. (The one running the page is Christie.) It IS possible to adopt across state lines if the right match is made! The kids that are most available are sibling groups and older teens. We’re in the process of adopting four girls ages 10-15. I know there are a lot of young people who need homes! So I have two children with a bit of an age gap (3.5 years), does the adopted child have to be the youngest or can you adopt a child that would become a middle child? An adoptive child does not have to be the youngest. We’ve adopted seven children, and all of them shifted birth order in some way.